The Australian Bureau of Statistics (ABS) released figures today that show the number of defendants finalised in Australian state and territory criminal courts for Illicit drug offences is at the highest level in the past five years. ABS Director of Crime and Justice Statistics William Milne said “There were 59,341 defendants finalised with a principal offence of Illicit drug offences in 2014-15, an increase of 51% (20,032 defendants) on 2010-11 figures. “One in ten (10%) defendants were finalised in Australian state and territory criminal courts for Illicit drug offences in 2014-15, compared to 7% of defendants in 2010-11,” Mr Milne said. More than half (58%) of those finalised for Illicit drug offences in 2014-15 were for Possession and/or use of illicit drugs and a further 17 per cent were finalised for Dealing or trafficking illicit drugs. 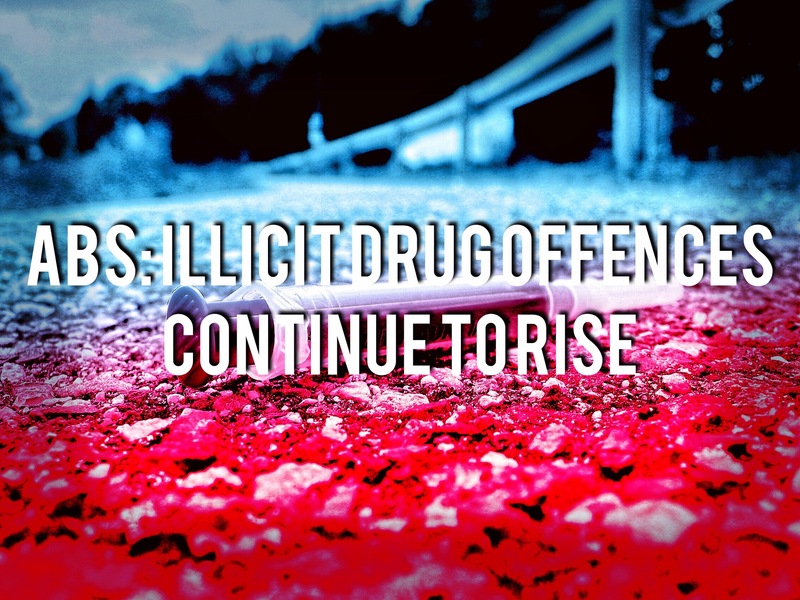 Almost nine in ten (89%) of defendants finalised for Illicit drug offences were proven guilty. Of those proven guilty, the majority (59%) were sentenced to a monetary order, while a further seven per cent were sentenced to custody in a correctional institution with a median sentence length of just over one year (13 months). The median fine imposed for defendants proven guilty of Illicit drug offences was $400. A total of 588,167 defendants had their cases finalised in Australian state and territory criminal courts in 2014-15. Over one-third (35%) of these were finalised for Traffic and vehicle regulatory offences, decreasing from 39 per cent of all defendants finalised in 2010-11. The Criminal Courts Australia annual publication contains national information on defendants finalised in the Higher (Supreme and Intermediate), Magistrates’ and Children’s criminal courts between 1 July and 30 June each year. Details are provided on the characteristics and outcomes of finalised defendants, and are also presented for each state and territory, and for each of the three court levels.